Lifetrac debut at Learning Man! 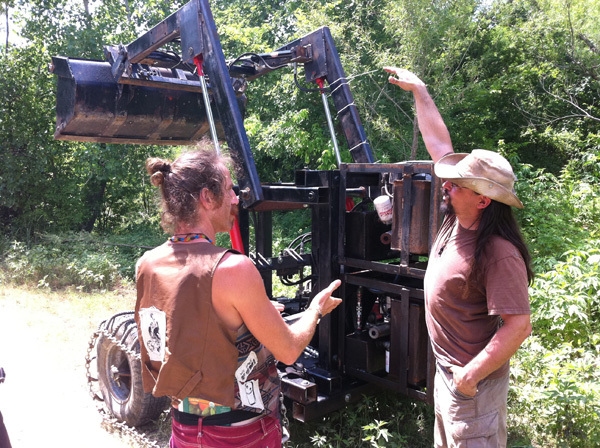 After making a series of upgrades and design changes to a Lifetrac from Open Source Ecology, Creation Flame debuted the functioning tractor at the Learning Man festival. 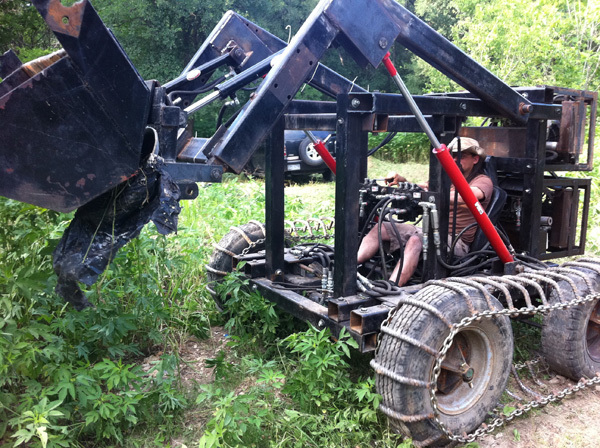 Over the past several weeks, Bunny has been working with visiting friends Cobra and Heather on upgrading the Lifetrac, an open source tractor that is part of Open Source Ecology's Global Village Construction Set. 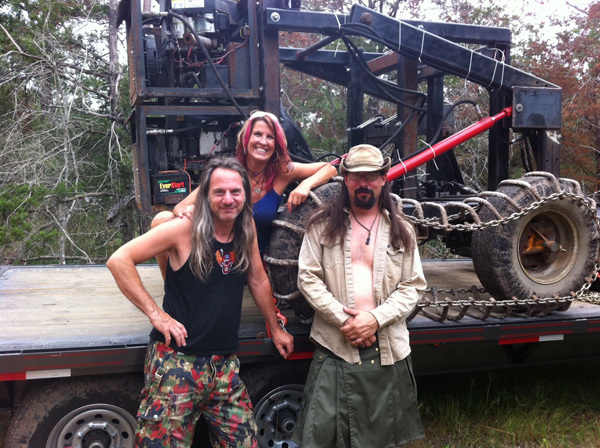 Cobra and Heather have been an essential part of the crew, and we couldn't have done it without them. In addition to being great with a welder and a plasma cutter, they also have been acting as guest Reiki healers during our Conscious Celebration weekly services. Thanks guys, you are infinitely Awesome! After a series of sleepless nights in the shop, the Lifetrac was brought to full functionality and rolled out to Learning Man, a wonderful educational festival put on by many of our Austin friends. The festival was a huge success and we were so happy to be showing the Lifetrac and talking to the community about Open Source Ecology. After a live demonstration of the Lifetrac on the festival grounds, we rolled out to nearby East End, a sister property also affiliated with Vajra Azaya. Despite some minor hiccups, we were able to smash a bunch of weeds and move some piles of brush, dirt, and trash. This is just the first of a lot of work that the Lifetrac will perform for our friends and at Awesome Hollow. Our next public display of the Lifetrac will be at Burning Flipside, where we will continue to bring the awesomeness of open source machinery to the world. Stay tuned for more news, and if you are interested in lending a hand with building Open Source Ecology equipment, Contact Us!